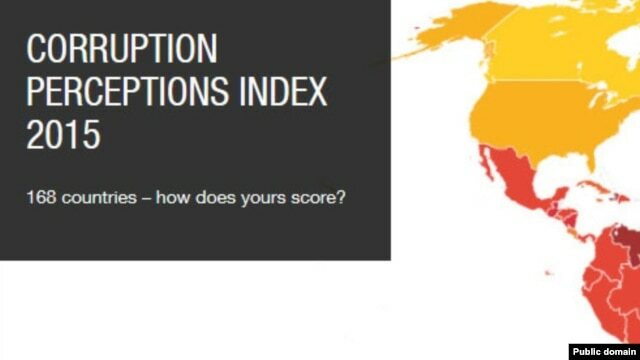 The Berlin-based corruption watchdog Transparency International (TI) has published the Corruption Perceptions Index (CPI) since 1995, annually ranking countries "by their perceived levels of corruption, as determined by expert assessments and opinion surveys. "The CPI generally defines corruption as "the misuse of public power for private benefit." India has been ranked 76th out of 168 countries in the recently released 2015 Corruption Perception Index (CPI). In the data for the year 2014, India stands at 85th position out of 175 countries as compared to its ranking of 94 in 2013 out of 177 countries. The country’s 2015 corruption perception score remains the same as last year’s – 38/100 – showing lack of improvement. India shares its rank along with six other countries: Brazil, Burkina Faso, Thailand, Tunisia and Zambia. China fared worse than India and Brazil at rank 83 with a score of 37. TI has also noted that Pakistan is the only country among the SAARC countries, to have improved its score this year, though its rank remains poor at 117. While Nordic countries — Denmark, Finland and Sweden — topped the chart with their clean public sectors as in previous years, strife-torn or repressive states — Afghanistan, North Korea and Somalia — form the bottom rung of the CPI ladder. Interestingly, the report also points out that many “clean” countries such as Denmark Finland, Sweden, Norway and Netherlands have “dodgy records elsewhere”. It cites Sweden as an instance. While the country comes third in the index, the Swedish-Finnish firm TeliaSonera – 37 per cent owned by the Swedish state – is facing allegations that it paid millions of dollars in bribes to secure business in Uzbekistan, which comes in at 153rd in the index. The company is now pulling out of business in Central Asia. Denmark (score 91), Finland (score 90), Sweden (89 score), New Zealand, Netherlands (87 score) and Norway (87 score). Angola (rank 163), South Sudan (rank 163), Sudan (rank 165), Afghanistan (rank 166), North Korea (rank 167) and Somalia (rank 167). South Africa (rank 61), India (76), Brazil (rank 76), China (rank 83) and Russia (rank 119). Bhutan (rank 27), India (rank 76), Sri Lanka (rank 83), Pakistan (rank 117), Nepal (rank 130) and Bangladesh (rank 139) and Afghanistan (rank 166).